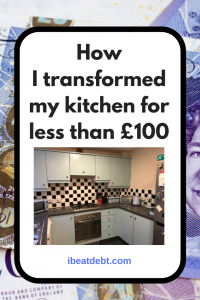 How I transformed my kitchen in under £100! When I first walked into my house, over 7 months ago, and a long time before it became mine, I loved the space. I couldn't however cope with the decor in the kitchen - so it was one of the first projects I knew I was going to undertake. I'm sorry if brown tiles are your thing - but they just weren't mine. I do like wood, but I found the cupboards really dark and dreary too. I knew though that I had a lot of work ahead of me but I had to do my kitchen on a budget. I was set to find out. 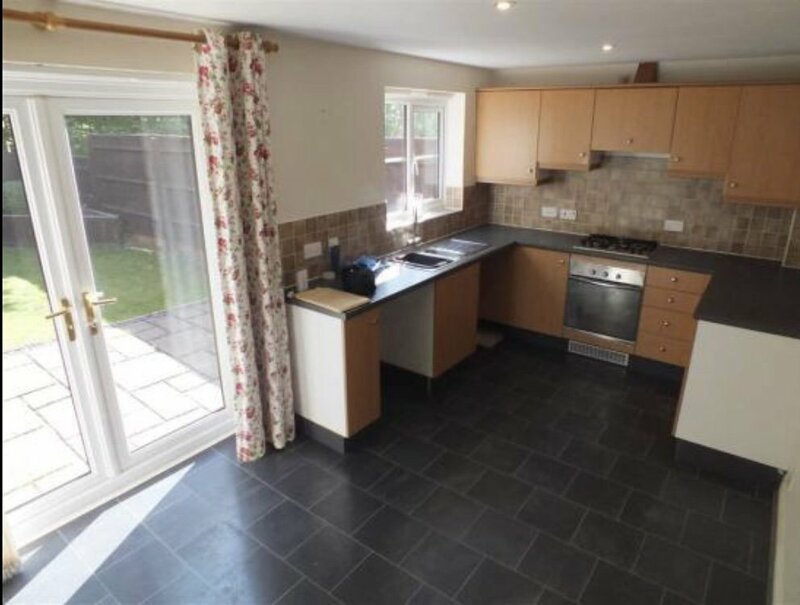 Here's the before pictures - taken from the estate agent's listings. 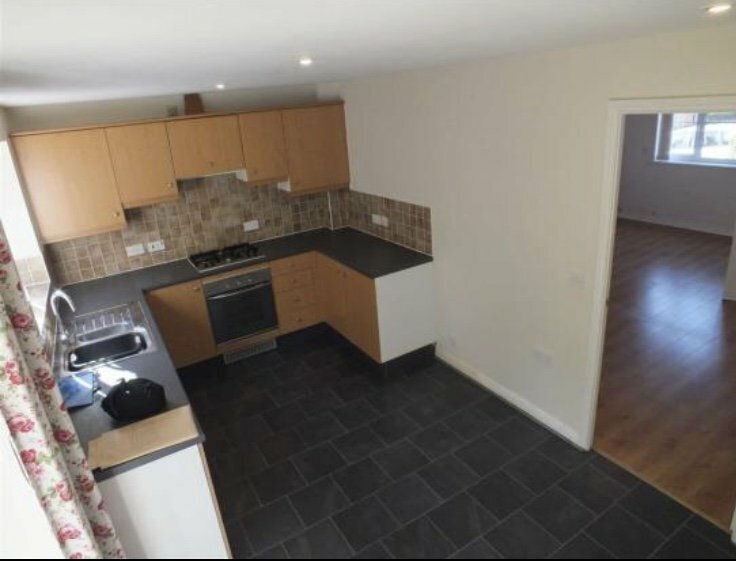 My vision for the space, as it was big enough to have a table in it, was for a retro American Diner style space but how could I do a dream kitchen on a budget? The first thing I needed to do was to get rid of the brown tiles. A lot of the things in the house I can live with - but they were painted the day after I moved in. I started off by cleaning the tiles with a sponge and soap and water. The sponge I used was a decorators sponge which I purchased for £1, but you could probably use any kind of sponge - I just wanted to get any dirt and grime off the tiles before painting them. The tile paint, which was £13.95, required just one coat, but I needed paint brushes (£1.50) and some masking tape (£1) in order to do this. 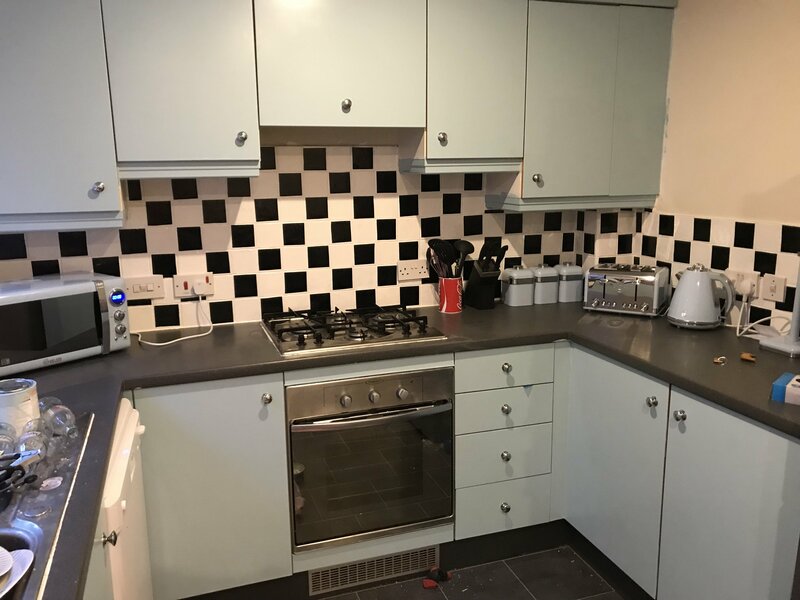 Now, I am no DIY expert - far from it - so I'm not going to tell you how to paint or what you need to do, but if you are using tile paint (or in fact cupboard paint) get some white spirit in! You can always throw away your brushes, but you can't throw away your hands - and I made a lot of mess whilst painting! White spirit needs ventilation before use though so please ensure you read the instructions. Here's a quick pic to show the difference just painting the tiles made! Hopefully you can already see that the room was getting brighter and fresher. Anyway, I let the tile paint dry, and then harden for a few days as per the instructions on the tin. Once it was dry, I had purchased some tile stickers on eBay and the black tiles are just tile decals stuck on over the white paint. You could get the same effect using black tile paint to get the same effect though - if you have the patience for that (which I really did not). I spent £20 on my tile stickers, and I got them through a seller who had excellent feedback and took "best offers". I made him an offer as I was buying in bulk (I bought 200 so I knew I would have more than enough. Applying these was actually quicker than I had anticipated, although the stickers were a bit bigger than the actual tiles as I couldn't find an exact size match, so I had to trim them all manually, but I did that one evening in front of the TV so the time flew. Once these were applied, the kitchen really felt like it was taking shape and my vision coming to life. Next I had to tackle the kitchen cupboards. There were 13 doors/drawer fronts to paint, plus the cover for the extractor fan. There was also some sections of wood which would not be able to be removed and would have to be painted where they were. I took all the cupboard doors off first as well as removing the drawers. I removed all the knobs as they were very dull and I didn't particularly like them. I had read online that it is best to remove all "furniture" from doors before painting them so I also unscrewed the hinges. The doors were pretty grim, so they were also given a good wash before being sanded down with sand paper (£1.50). As previously mentioned, I am terrible at DIY and haven't a practical bone in my body so I researched thoroughly how best to go about it. After being sanded, the cupboard doors were primed with primer (£7.95) and I used a roller (£1) to get smoother and more even coverage of the primer and the paint. I ended up giving the cupboard doors and drawer fronts a second coat of the as I felt I had nothing to lose at this point. I ran out of space so I had to do a few cupboard doors at a time. I did mine in another room on the floor. I would recommend using something to cover the floor to protect it from paint. I had some plastic floor coverings which I had been given, but I didn't get on with them. I already knew I was going to be replacing my carpets, so I ended up not bothering - but if you are keeping your flooring, ensure you use something to protect them! Once the primer was fully dry, I started applying the paint. 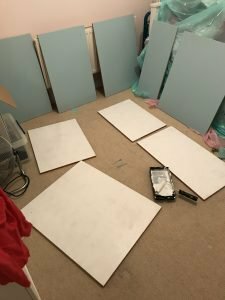 I had chosen a duck egg blue cupboard paint as I really felt that it fitted in with my theme and kitchen accessories which I already had. This cost £12.95. 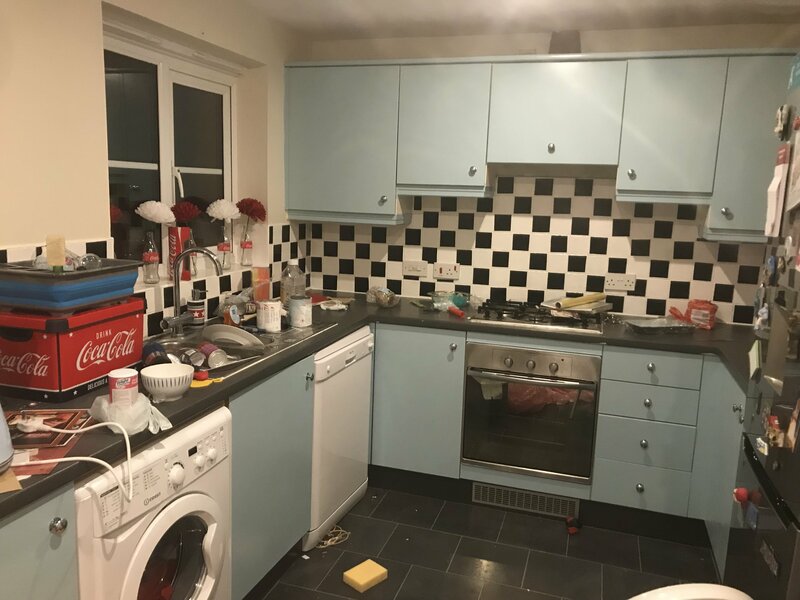 I only used one tin, but it did two coats on all the cupboard doors and drawer fronts as well as the other bits of wood that were visible in the kitchen. Mostly I applied it with the roller, except where that wouldn't fit when I used a small brush. I also needed to use some more of my masking tape to mask off some areas to prevent paint getting in the wrong places. The final step was to apply new, brighter door knobs (these were £1.50 each and I needed 14 of them so it came to £21) and then reattach the hinges and pop them all back on. In total my spend on decorating came to £83.35 and I couldn't be happier with the result. 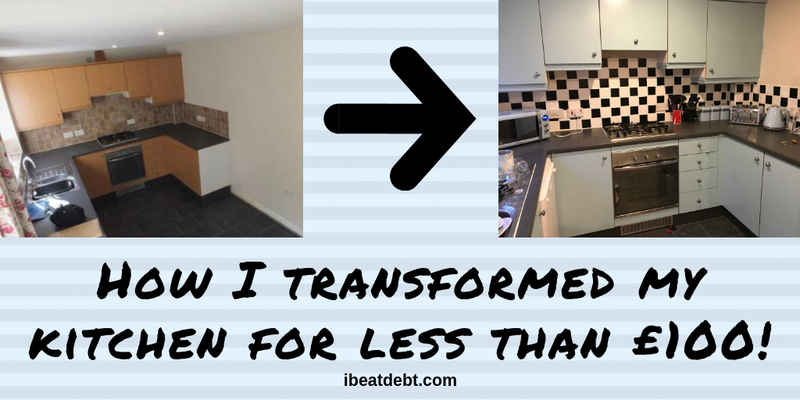 I will share more tips on my accessorising and finishing touches on a budget in another post, however hopefully you can see that a girl who is allergic to DIY, completely transformed her kitchen in under £100 and this will inspire you too! 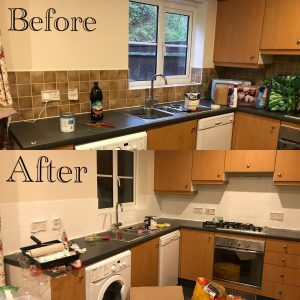 Please excuse the mess in the pictures - I was so excited to take pictures of the finished kitchen I forgot to tidy up! 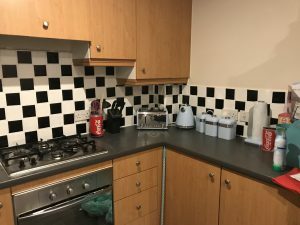 I still cannot quite believe I got my dream kitchen on a budget! I found some amazing bargains for the house at car boot sales, charity shops and jumble trails. 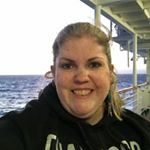 Check out my post about them here. ← Does bad credit end all hopes of financial freedom in 2018?